Hipsway were a Scottish pop/rock band whose style has been described as 'white soul/ funk'. The band were formed in Glasgow in 1984 by ex-Altered Images guitarist Johnny McElhone on bass, and featuring Grahame Skinner (vocals), Pim Jones (guitar) and Harry Travers (drums). They were quickly signed up by Mercury Records and by 1985 had released their first album Hipsway. The album was a moderate success in the UK; while the single The Honeythief made number 17 in the British charts, and also reached the Top 20 in the US. The band were formed in Glasgow in 1984 by ex-Altered Images guitarist Johnny McElhone on bass, and featuring Grahame Skinner (vocals), Pim Jones (guitar) and Harry Travers (drums). They were quickly signed up by Mercury Records and by 1985 had released their first album Hipsway. 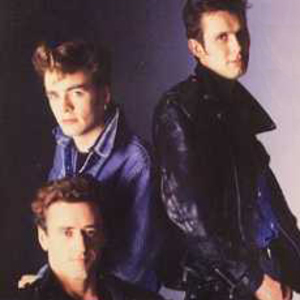 The album was a moderate success in the UK; while the single The Honeythief made number 17 in the British charts, and also reached the Top 20 in the US. Another song from the album, Tinder, became well-known in Scotland as the soundtrack to a McEwan's Lager commercial. However the band failed to build on its success; McElhone left to found Texas, and by the time the second album Scratch the Surface (later reissued as The Rest of Hipsway) was recorded, Travers had also left (to be replaced by Steven Ferrera). Released in 1989, the album was not as critically or commercially successful as its predecessor, and the band split up shortly afterwards. Skinner and Jones subsequently went on to found the band Witness. They released an album entitled House Called Love, doesn't seem to be on last.fm unfortunately.